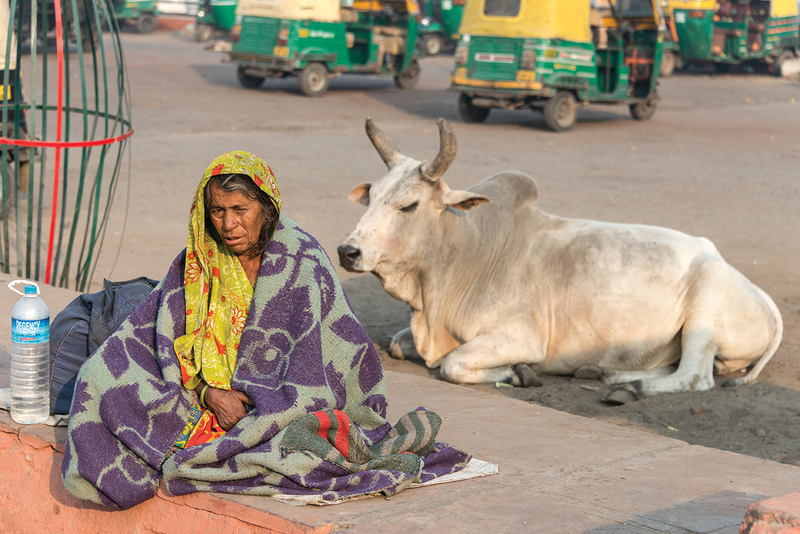 A poor, elderly Indian woman begs by a sacred cow at the Agra Railway Station in Agra, Uttar Pradesh. Uttar Pradesh recently passed stricter laws safeguarding cows in the state. The campaign to protect the honor and safety of the various breeds of cattle in the country has become lethal. Only two people have been arrested on murder charges. Episodes of intolerance towards minorities have become increasingly common with the rise of Hindu nationalists. At least ten Muslims have killed in the past two years. The ongoing slaughter connected to cattle rages on in India, and it is not the slaughter of the cows themselves but rather of human beings who depend on their breeding, slaughtering, and selling for their livelihood. Hundreds of thousands of individuals in the immense Asian country draw sustenance from cow-related profiteering – including skinning, tanning, and use of leather – these are mostly the religious minorities of the country, Muslims, or low-caste and outcast Hindus. Traditional Hinduism grants legal protection to any animal considered to be sacred for being a “vehicle” of Shiva, one of the main deities of the vast Hindu pantheon. This is similar to reverence given to water buffalo, as it is the “throne” on which Yama, the deity of the underworld sits. In fact, throughout the history of India, tolerance and partial departures from this custom were commonly applied, except in periods when the issue was used for reasons other than those related to religious practices. Presently, it seems that the latter is the case. Hindu extremist groups have launched a campaign to defend cattle. It is part of a vast and varied campaign designed to “reclaim” the country by marginalizing differing traditions in view of either assimilating or expelling certain minorities. However, it is not a campaign characterized by efforts to persuade or even one of subtle manipulation. This particular campaign for the honor and safety of cattle in India has become a lethal one. On April 30th, two Muslims, Abu Hanifa and Riyazuddin Ali, age 20 and 25 respectively, were chased by a lynch mob in the northeastern state of Assam for allegedly having smuggled cattle across the border to the prevalent Muslim nation of Bangladesh. The two victims were chased for about a mile, and when they were eventually caught they were violently beaten by the group. Police arrived on the scene only after the beating of the two men had ceased; they died from their injuries shortly after arriving at the hospital. The police later arrested only two present, bringing them in on murder charges. Crimes, in addition to a series of killings, are often carried out with brutal methods and are partly a direct result of government policies being in the hands of Hindu militants who virtually wiped out the industry of the breeding and slaughter of cattle, resulting in severe economic damages. They have placed a large number of individuals under siege: families, businesses, and other entities that rely solely on the industry of beef meat or hides. 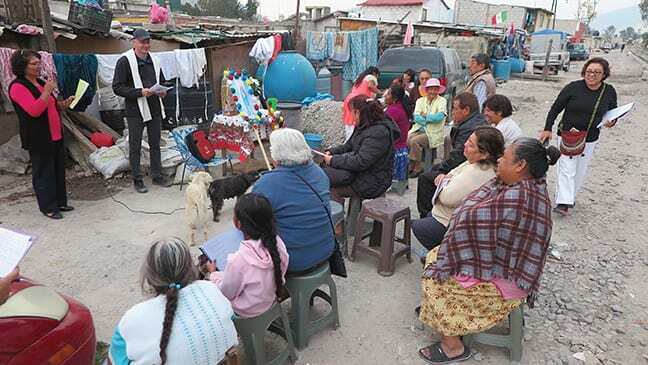 These actions have further exacerbated food shortages that ultimately fall on the poorest of the poor. Once again, this situation highlights the state of decay and subjugation under which a significant portion of the Indian population lives: a large percentage of the 190 million Muslims living in the country, tens of millions of members of other religious minorities, ethnic and tribal peoples and perhaps 200 million of low-caste or outcast Hindu Dalits: all these people are made to endure not only hardships and underdevelopment but also socio-religious discriminations that are carried out for financial and political gain. This situation had a substantiated prologue when in September 2015, a Muslim father accused of having slaughtered a cow to consume its meat, was massacred by a Hindu mob in a village in Dadri, a city in the northern state of Uttar Pradesh. His 22-year-old son, also attacked was spared death but endured an extensive beating; while the father’s wife and daughters had barely come away from the event unscathed. It was an incident that opened the eyes of many on the reality of the pressure and aggressions that have so far been ignored by the mass media. Uttar Pradesh is one of the states that have strengthened laws against the laughter of cows and the sale and consumption of their meat. Uttar Pradesh only acted in this fashion to line up its laws with those of other Indian states. Additional states have followed suit because of the religious convictions of their respective political elite or due to pressure from extremists. Seizing the favorable political opportunity, a party like the Bharatiya Janata Party coming into power in May 2014 and grabbing virtually all seats, even in local elections, exploited the sectarianism card along with one of financial development at the expense of minorities and at the expense of civil rights. Once they had seized power the Bharatiya Janata Party issued legislations aimed at favoring Hindu nationalists. Civil society has responded by multiplying inquiries made to those running the country, specifically on whether or not it was correct to establish by law what Indians can and cannot eat, so far these inquiries yielded more risks than results. Pointedly, after the latest deadly attack on two young Muslim men, one of the Indian National Congress Party leaders (the beleaguered opposition party headed by Italian-born Sonia Gandhi) emphasized the absurdity and injustice of the whole situation. “With the immense problems India is facing, it is incredible that our government’s priority is protecting cows and buffaloes,” said combative Renuka Chowdhury.